Creating a telemedicine appointment type in athenahealth can be done in 5 easy-to-follow steps! 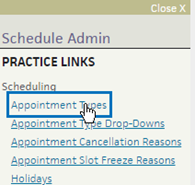 From the left-hand side, click “Appointment Types”. At the top of the list, select “Add new”. Tip: If you need to have different durations, you can recreate this appointment type with the same information as above, with a different duration and short name. Make a note of the new "ID" for that visit. 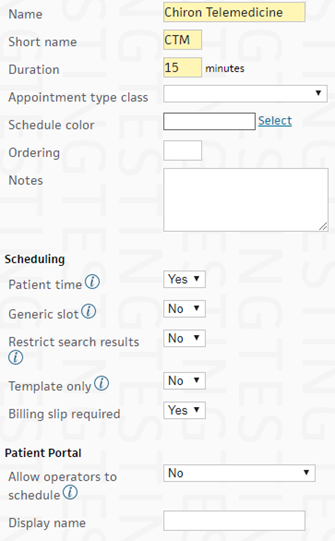 Return to the "EHR Integration" form and input the appointment ID(s) of the appointment that you created. Tip: "643" in the above image is an example. Your ID will likely be different. 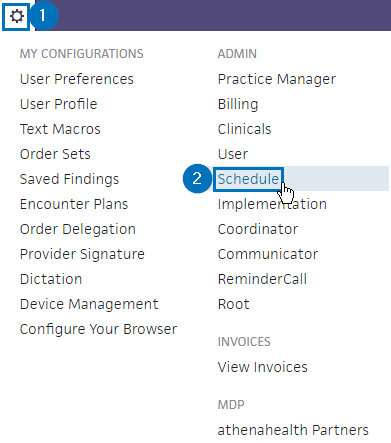 If you created multiple Telemedicine appointments, enter all IDs separated by a comma (ex. : 281, 330, 8004).